Develop personal, cultural, textual, and thematic connections within and across genres as they respond to texts through written, digital, and oral presentations, employing a variety of media and genres. 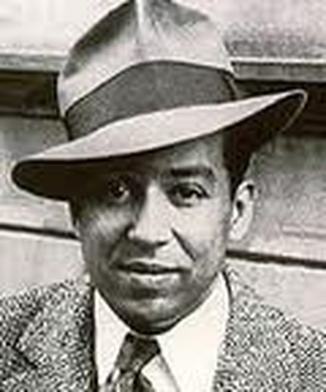 http://www.youtube.com/watch?v=EpjFS3CQkKE "Langston Hughes reads his poem, 'Dreams'"
Hip Hop Speaks to Children, edited by Nikki Giovanni. SONG LYRICS: "WHAT CAN ONE LITTLE PERSON DO?" Activate Prior Knowledge: Students will make a list in their writing notebooks: I am in the world to change the world. Under the heading students will write descriptive adjectives and ideas that depict Wangari Maathai. As students do that, they will continue to reflect on the list that was created yesterday about each students hopes and aspirations. Mrs. Looney will explain the connection between what the students already know and what they are going to learn next. Learning Objective: I will begin to create a list including adjectives and ideas about people who can change the world. Students will watch the videos about Malala. Students will think about words to describe her and add these words to their list. This list will help students write a poem about dreams, challenges, courage. Academic Importance: Does anyone have any other reasons why this lesson is important academically? Personal Importance/Real Life Importance: Does anyone have any other reasons why this lesson is important in your life? Guided Practice: Students will perform their initial practice step-by-step at the same time as a whole group. First, Mrs. Looney will complete the first step on the SmartBoard and then the students will complete the same step. Gradually, students will begin to do the steps individually. Closure: Mrs. Looney wants to make sure that the students are completely prepared for the assignment before I hand it out. Are students able to correctly describe the concept that was just taught? Are students able to tell why it is important to learn the information that they have just been taught? Are students able to complete the skill that has just been taught to them? Independent Practice: Students will begin to create a list including adjectives and ideas about people who can change the world. Homework due Thursday, January 7, 2016: None. Classwork, Wednesday January 6, 2016: As the students are watching the video they will continue to ask questions that would help them to think deeper about their dreams and about how one little person could change the world. Activate Prior Knowledge: Imagine that Malala is coming to our school. What would your reaction be meeting her? What would you be thinking? What questions would you have for her? Mrs. Looney will explain the connection between what the students already know and what they are going to learn next. I can ask questions that would help me to think deeper about my dreams and about how one little person could change the world. I can choose words from Malala's speech that I could use in my poetry. Students will continue to write descriptive words to add to their Dream/Change list. Students will continue to write down questions to ask Malala, to ask themselves. Guided Practice: Students will perform their initial practice step-by-step at the same time as a whole group. First, Mrs. Looney will complete the first step on the SmartBoard and then the students will complete the same step. Gradually, students will begin to do the steps individually. As a class we will complete a graphic organizer. As the students are watching the video they will continue to ask questions that would help them to think deeper about their dreams and about how one little person could change the world. Homework due Tuesday, and Wednesday, December 6, and 7, 2016: None. "Rise up you Dreamers and Troubadours of the endless journey...Your dream begins." Francis of Assisi. Why are we here in school? Students will draw a picture or write a short list or phrase describing why they are here in school. Why is Mrs. Looney here? Learning Objective: I can identify MY dreams, hopes, and aspirations for MY journey and write a list of these dreams. Concept Development: I can explore MY dreams, hopes, and aspirations for MY journey. Definition of concept: What does the above quote mean? Mrs. Looney will help facilitate a conversation that will explain and interpret the meaning of the quote. Mrs. Looney will demonstrate how people she knows are going about fulfilling their dreams. Students will analyze the above quote (examine carefully, breaking it into components to understand it). Students will think about how the quote relates to their life. Students will describe and explain their hopes and dreams. Students will list their hopes and dreams. Mrs. Looney will read the back cover of Pam Munoz Ryan's The Dreamer. We will begin a poetry unit to explore our dreams, hopes, and aspirations for our journey. Mrs. Looney will read A River of Words: The Story of William Carlos Williams. "Dream it. Be it." What does this phrase mean? Students will reflect back to the time when we thought about our goals for the year. Today we will reflect on our goals for our life. Where do you imagine you will be in nine or ten years? What would your life look like if you could dream it to be what ever you want it to be? Draw a picture of what your life will look like in five to ten years. Make a list of all you want to get out of your life. Closure: Are students able to correctly describe the concept that was just taught? Are students able to tell why it is important to learn the information that they have just been taught? Are students able to complete the skill that has just been taught to them? Mrs. Looney will canvas the room to be sure students are brainstorming and adding to their lists. Students will jot down their dreams and goals. Why do we work hard in school? What are we striving for? What will our life look like in 5-10 years? Draw a picture of what your life will look like in five to ten years. Homework due Thurday, December 8, 2016: None. Classwork, Wednesday, December 7, 2016: Mrs. Nolan will join us for the Second Step Program. Homework due Friday, December 9, 2016: Complete the questions to "The Scoop on Dino Poop" article. See below for directions. Before reading the article “The Scoop on Dino Poop,” read the questions found below. Annotate as you read the article. Answer the questions in your writing notebook. Answer the questions in complete sentences. Use the RACE format to answer the questions. What is the central idea/main idea of the article you just read? Use two details from the text to support your response. Why do paleoscatologists study coprolite? Use two details from the article to support your answer. According to the author, what did dinosaurs eat? Use details from the article to support your answer. According to the author, how does Dr. Chin find out what is inside a coprolite? Homework due Monday, and Tuesday, December 12, and 13, 2016: Students are to write their own "winter" story. They are to write at least four page in their writing notebook. Due on Tuesday. Question: What do you think of when you hear the word "winter"? Prior life experience: Students will write a list of all of the things and experiences that come to mind when they hear the word "winter." Students will analyze (examine carefully, breaking it into components to understand it) Bill Harley's song "The Great Sled Race." Students will list winter words: sounds of winter, foods of winter, sports of winter, values of winter, etc. Students will write their own "winter" story. Mrs. Looney will model writing her own brainstorm list of winter words. Mrs. Looney will demonstrate how her winter story is a humorous story like Bill Harley's story. As students listen to the story for the second time, students will list examples of exaggeration and hyperbole from the story. Students will share examples to compile class list. Students will review the fact that hyperbole are so exaggerated that they can’t possibly have happened. Do all of the students have a list of 10-20 words that is associated with winter? Their story may be humorous (like Bill Harley's "The Great Sled Race") or it could be serious or sad. Students are to write at least four pages in their writing notebook. Students are to use as many descriptive words as possible. If students are not able to write four pages in their notebooks in class, they are to finish it for homework. Homework due Wednesday, December 14, 2016: None. Classwork, Tuesday, December 13, 2016: Students will share their winter stories with the class. Homework due Thursday, December 15, 2016: None. Classwork, Wednesday, December 14, 2016: Mrs. Nolan will join us for the Second Step Program. Homework due Friday, and Monday, December 16, and 19, 2016: Christmas Essay due Monday. Students may complete an extra credit assignment. See home page for details. Tuesday will be Mrs. Looney's Homeroom Class Christmas Celebration in social studies class. Students are invited to bring in a snack to share (12:45-1:30). We have 13 people in our class. Classwork, Thursday, and Friday, December 15, and 16, 2016: Students will type their winter story or winter poem to submit to the writing contest. Each student will choose three essays to write about Christmas. Essay #1 is due on Monday, December 19. Essay #2 is due on Tuesday, December 20. Essay #3 is due on Thursday, December 22. Your essays may be funny, sad, serious, and/or happy. Write your essays in your writing notebook. Be sure to give each essay a different title. Feel free to add illustrations if you would like! • I definitely have been a very good boy or girl this year. • Christmas is a time to be thinking of others. • Presents are very important on Christmas Day. • Presents should not be important on Christmas Day. • We should have the Christmas spirit all year round. • Christmas is a time to be thankful and for reflection. • We should have Christmas twice a year! • A kid’s perfect minute-by-minute plan for Christmas Day. • The correct way to open Christmas presents. • How to make Christmas a special day for the entire family. • How to prepare for Christmas Day. • How to wrap a Christmas present. • How to decorate for Christmas. • There should be absolutely no arguing on Christmas Day. • Christmas is the best holiday of them all. • The Christmas spirit is alive and well. • What is the effect that Christmas has on society? • Has the meaning of Christmas changed over time? • Has Christmas become too commercialized? • A wonderful Christmas memory. • My favorite present I ever GAVE. • Christmas shopping with my family. • My favorite part of Christmas. • Family time on Christmas. • Christmas traditions in my family. • The best Christmas ever. • Funny happenings on Christmas day. • How I feel when I give on Christmas Day. • How the Christmas spirit affects people’s behavior and attitude. • Preparations for Christmas Day and the outcomes of all that hard work. • What effect does all the Christmas media promotion have? • The history of Christmas. • Christmas through the ages. • The symbols and symbolism of Christmas. • How I felt opening presents, eating delicious food, and spending time with family and friends. • Describe the Christmas spirit or Christmas energy. • Describe who you celebrate Christmas with. What makes them unique or special to celebrate with? • Describe the sights, sounds, and smells of when you first walk out to the tree on Christmas morning. • Describe how the anticipation and excitement of Christmas makes you feel. • Describe the sights, sounds, and smells of Christmas. • Three signs that Christmas is just around the corner. • Three reasons I love Christmas. • What used to be important to me about Christmas compared to what is important about Christmas to me now. • The day before Christmas, Christmas Day, and the day after Christmas. • Christmas for kids compared to Christmas for adults. • Christmas traditions in different cultures. • The greatest present ever. • People in need on Christmas. • The real story of Christmas. • The day after Christmas. • Wow… Look at that star! Homework due Tuesday, Wednesday, and Thursday, December 20, 21, and 22, 2016: Two additional Christmas essays. (There are three Christmas essays due in total...one was due on Monday.) Students may complete an extra credit assignment. See home page for details. Tuesday will be Mrs. Looney's Homeroom Class Christmas Celebration in social studies class. Students are invited to bring in a snack to share (12:45-1:30). We have 13 people in our class. Feel free to add illustrations! Homework due Thursday, December 22, 2016: None. Students may complete an extra credit assignment. See home page for details. We will watch a fantastic video by K'naan called "Waving Flag." What can we infer about what "Waving Flag" means? What is the theme of the video? We will watch a few great videos to get us in the holiday spirit. We will also talk about cultural differences. We will also listen to Bill Harley's "The Ballad of the Mad Scientist." Mrs. Looney brought in an important prop to help us relate to the story. We will watch two great videos to get us in the holiday spirit. Homework due Wednesday and Thursday, December 22 and 23, 2015: None. Students may complete an extra credit assignment. See home page for details. Monday will be our Christmas Celebration in social studies class. Students are invited to bring in a snack to share. Most classes have 15 people in the class. Homework due Friday, and Monday, January 8, and 11, 2016: Begin working on your Dream poem. Dream poem due Friday, January 15, 2015. Students will write one sentence that summarizes the main idea of the poem. What is the message that Hughes wants us to think about after reading this poem? Guided Practice: Mrs. Looney will begin writing down words that are powerful and that she might want to use while writing a poem. Now read "A Dream Deferred" by Langston Hughes. What is the message he is trying to get across from that poem? How do his poems relate to our lives? If we have time, we will read A River of Words: The Story of William Carlos Williams written by Jen Bryant. Independent Practice: Students will continue to add to their lists of words and ideas and inspirations as the poems are being read. Homework due Tuesday, January 12, 2016: Continue working on your Dream poem. Dream poem due Friday, January 15, 2015. Students will go to the elementary computer lab to begin typing their poetry. Activate Prior Knowledge: Students will share the beginnings of their poetry. I can listen to other poets recite their poetry (classmates as well as other famous poets). I can utilize suggestions from the list in my own poetry. Guided Practice: Mrs. Looney will give examples of what other poets have done to make their poems powerful. Mrs. Looney will use the list of suggestions as her guide. 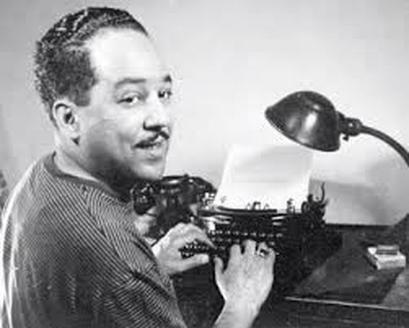 -Using Langston Hughes' poems as an inspiration, write a poem that expresses your ideas about dreams. -The rough draft on loose-leaf is due on Monday. -On Monday we will type our poems on the computer. Save your poem onto your email so you won’t lose it and so you can work on it at home. -Submit your poem onto the blog page of Mrs. Looney’s website. Be sure to submit your poem under the “Poetry: Dream” section on the blog. -DO NOT WRITE YOUR LAST NAME ON THE BLOG PAGE! DO NOT ADD YOUR EMAIL TO THE BLOG PAGE! Homework due Wednesday, Thursday, January 13, and 14, 2016: Continue to work on your poems. Choose the poem that you like best. Be sure to upload your poem onto Mrs. Looney's blog. Ask one of the blog experts in our class to teach you how to upload the poem onto the blog. Activate Prior Knowledge: Each student will write down an example of a simile and a metaphor. I can answer the question "What have other authors done that I can do?" I can compile a list of suggestions of how to improve my poetry by reading other poets' work. Academic Importance: We will use this new skill in our poetry writing. Does anyone have any other reasons why this lesson is important academically? Guided Practice: Students will perform their initial practice step-by-step at the same time as a whole group. We will begin with looking at Tristen's poem and noting the different literary elements found in his poem. Gradually, students will begin to read other students' poems and make a list of ways they can improve their own poetry. Independent Practice: Students will continue to look for literary devices in the "Firework" song as well as the devices found in the following video: https://www.youtube.com/watch?v=GkMKaGLmkzk This video is a little juvenile, but it really does get the point across. https://www.youtube.com/watch?v=U_pxfifB6Co This video is a very good summary of several literary devices found in poetry and other types of literature. Students will search for literary devices in the poems written on Mrs. Looney's blog in previous years. Homework due Friday, January 15, 2016: Complete the Literary Elements Sheet. Be sure to write DEFINITIONS AND EXAMPLES! Classwork, Thursday, January 14, 2016: DEVISING A RUBRIC TO SELF-EVALUATE MY POEMS. Activate Prior Knowledge: Sub-skill review: Students will write down the names of some of the literary devices that they are trying to incorporate into their poems. Students will write their answers in their notebooks. Mrs. Looney will explain the connection between what the students already know and what they are going to learn next. I can devise a rubric using a style that suits my approach to learning. I can devise a rubric that connects to the last few lessons in writing class. Guided Practice: As a class we will go over the directions for devising rubrics for poetry writing. We will discuss different components and how they can improve our writing. We will go over definitions and examples of different components and different literary devices. Independent Practice: Students will complete the Literary Elements Sheet. Be sure to write DEFINITIONS AND EXAMPLES! Homework due Tuesday, January 19, 2016: Compile a list of at least five components that you wish to work on as you revise your poems. Be sure to prioritize and list the components in order of importance. Classwork, Friday, January 15, 2016: DEVISING A RUBRIC TO SELF-EVALUATE MY POEMS. Activate Prior Knowledge: Step One: Students will write down the names of some of the literary devices that they are trying to incorporate into their poems. Students will write their answers in their notebooks. Step Two: Students will think of one area in which they wish to improve in their poetry writing. Students will imagine that they have an imaginary wand that can magically change any parts of their poetry to make it even more amazing than it already is. Write down the one component (part) that they would like to use their magic wand to improve. Mrs. Looney will explain the connection between what the students already know and what they are going to learn next. I can devise (create) a rubric using a style that suits MY approach to learning. I can devise (create) a rubric that prioritizes several components (parts) that I believe will improve my poetry. Skill Development: Students will analyze (examine carefully, breaking it into components to understand it) the rubric samples that were handed out in class. Students will compare the different formats of the rubric samples. Students will explain to their partner: Why did I choose the specific components to include in my rubric? What is my opinion regarding the design of the rubrics? Which format of the rubrics would assist me best? Which components should I select to add to my rubric? Why? Would these components help make my poem more powerful? How? How would you prioritize the components that you selected? Decide which parts of your poem you would like to improve upon. Choose at least five components to work on. Decide which format of rubric will help you to be the best poet you can be. Devise your rubric. See above for a blank rubric template to use if you choose. Academic Importance: Does anyone have any reasons why this lesson is important academically? How can knowing how to create a rubric help you in school? Personal Importance/Real Life Importance: Does anyone have any other reasons why this lesson is important in your life? In what ways can knowing how to create a rubric help you in life? Guided Practice: Students will perform their initial practice step-by-step at the same time as a whole group. First, Mrs. Looney will complete the first steps on the SmartBoard. Mrs. Looney will model and think out loud as to what components she wants to work on in her poetry writing. Mrs. Looney will model looking at her poetry on her blog and creating a list of five components to improve her poetry writing. The students will help Mrs. Looney prioritize the list. Mrs. Looney will think aloud as to why she prioritized the list as she did. The students will help Mrs. Looney complete the task. By the end of the guided practice, students will begin to perform the steps individually. Closure: Mrs. Looney wants to make sure that the students are completely prepared for the assignment before the students are released to their next class. Are students able to correctly follow the steps that were just taught? Are students able to tell why it is important to learn the information that they have just been taught? Are students able to complete the skill that has just been taught to them? Independent Practice: Students will begin rereading and evaluating their poems that are on the blog. They will then list the the five components and then prioritize the components. Homework Due Wednesday, January 19, 2015: Compare Martin Luther King, Jr. to Malala Yousafzai. Compile a list of similarities and differences, create a t-chart, or create a Venn diagram, or write an essay to compare these two remarkable people. This is to be completed on loose-leaf. The username and password for the SNAP.caboces.org website is found in the students' agendas. As always, "Go, Scio Tigers!" Homework due Thursday, and Friday, January 21, and 22, 2016: Students will create a rubric to self-evaluate their poems. This rubric is due on Friday, January 22. Students will evaluate their poems on Friday in writing class. Classwork, Wednesday, and Thursday, January 20 and 21, 2016: (Continuation) DEVISING A RUBRIC TO SELF-EVALUATE MY POEMS. Activate Prior Knowledge: Looking at the RACE rubric and the NYS writing rubric, students will turn to their partner and explain how Mrs. Looney determines their grades for each writing piece. I can devise (create) a rubric that will determine the grade that I have earned for my poem. Skill Development: Students will analyze (examine carefully, breaking it into components to understand it) the rubric that they have created in class. Students will explain to their partner: Why did I choose the specific components to include in my rubric? Academic Importance: Review: Does anyone have any reasons why this lesson is important academically? How can knowing how to create a rubric help you in school? Personal Importance/Real Life Importance: Review: Does anyone have any other reasons why this lesson is important in your life? In what ways can knowing how to create a rubric help you in life? Guided Practice: Students will perform their initial practice step-by-step at the same time as a whole group. First, Mrs. Looney will complete the first steps on the SmartBoard. Mrs. Looney will model and think out loud as to what value (how many points) she will assign to each component. Mrs. Looney will model by looking at her rubric and assign values to each component. Mrs. Looney will think aloud as to why she assigned certain values to her rubric as she did. The students will help Mrs. Looney complete the task. By the end of the guided practice, students will begin to perform the steps individually. Students may work with partners to help guide them through this difficult task. Closure: Mrs. Looney wants to make sure that the students are completely prepared for the assignment before the students are released to their next class. Turn to your partner and explain one of your components, discuss the value you are giving that component, and explain why you are assigning that value. Are students able to correctly follow the steps that were just taught? Are students able to tell why it is important to learn the information that they have just been taught? Are students able to complete the skill that has just been taught to them? Independent Practice: Students will continue creating their rubric and assigning value to each component. Students may consult with partners for advice. The rubrics are due on Friday morning during writing class. Homework due Monday, Tuesday, and Wednesday, January 25, 26, and 27, 2016: Students will answer the following questions: 1) What is a rubric? 2) How can rubrics be helpful? Write the answer to these two questions on loose-leaf. Due Tuesday. There isn't any writing homework due on Wednesday. Activate Prior Knowledge: Turn to your partner and explain how your rubric was useful in making revisions to your poems. When students are done sharing they will share with their partners how they think their rubrics can help them make intelligent, constructive comments about their peers' poems on the blog. I can use my rubric to make intelligent, constructive comments about my peers' poem on a blog. I can recite my poem to the class. Students will use the rubrics that they have created to self-evaluate their poems. Students will use the rubrics to make improvements to their poem and to write a new poem using the rubric as a guide. Students will use their rubrics to make intelligent, constructive comments to their peers about the poems that their peers have written. Academic Importance: Review: Does anyone have any reasons why this lesson is important academically? Personal Importance/Real Life Importance: Review: Does anyone have any other reasons why this lesson is important in your life? Guided Practice: Students will perform their initial practice step-by-step at the same time as a whole group. First, Mrs. Looney will model the first steps on the SmartBoard. Mrs. Looney will model and think out loud as to what components she will focus on as she comments on a student's poem on the blog. Mrs. Looney will model by looking at her rubric and then looking at the poem. The students will help Mrs. Looney complete the task. By the end of the guided practice, students will begin to perform the steps individually. Closure: Mrs. Looney wants to make sure that the students are completely prepared for the assignment before the students are released to their next class. Turn to your partner and explain the steps that they are to follow. Are students able to correctly follow the steps that were just taught? Are students able to tell why it is important to learn the information that they have just been taught? Are students able to complete the skill that has just been taught to them? Independent Practice: Students will analyze another student's poem and offer constructive feedback. Students will practice reciting their poems. Students will answer the following questions: 1) What is a rubric? 2) How can rubrics be helpful? Write the answer to these two questions on loose-leaf. Due Tuesday. Activate Prior Knowledge: Example first. Question: Prior life experience(concept or skill). Sub-skill review(concept or skill). Students will write their answers on white boards. Mrs. Looney will explain the connection between what the students already know and what they are going to learn next. Examples: Nonexamples: How can we remember this concept? RAJ (pg. 129) Restate the concept. Apply the concept to examples. Justify your examples using the definition taught. Think/Pair/Share, note-taking, etc. Skill Development: Students will analyze (examine carefully, breaking it into components to understand it). Students will compare. Students will describe. Students will explain. Students will identify. Students will evaluate. Students will list. Step-by-step process: What is the general approach for solving this kind of problem? What is the first step? Why is this step important? Why do we...? Why did I...? Why is this...? How did I know if...? How did I know...? Homework Due Tuesday, Wednesday, Thursday, and Friday, : . Classwork: Monday, Tuesday, Wednesday, and Thursday,: Attending to Details in Multi-Media. Due Tuesday, December 10, 2013: Homework: Dream Poem AND MAKE CORRECTIONS/REDO THE "CLAIM/EVIDENCE" SHEET!!!!! AND REVISE YOUR ESSAY TO RECEIVE A HIGHER GRADE. See below. CORRECTIONS/REDO THE "CLAIM/EVIDENCE" SHEET: Most students did extremely poorly on the "Claim/Evidence" sheet. Please read the directions carefully and redo the work on a sheet of loose-leaf. The latest this assignment will be accepted will be the end of the day on Tuesday, December 10. CORRECTIONS/REDO THE "Explaining Hughes' Poems Essay": Most students did not take the time to write their essay at home. The results were essays that can use revision. Please revise your essays to bring up your grade. Please read the directions carefully and redo the work on a sheet of loose-leaf or feel free to type it. See below for more details. The latest this assignment will be accepted will be the end of the day on Thursday, December 12. Claim/evidence Sheet: What does Hughes think about dreams? Due Friday, December 6, 2013: Homework: Dream Board AND MAKE CORRECTIONS/REDO THE "CLAIM/EVIDENCE" SHEET!!!!! See below. Classwork: Dream it. Be it. CORRECTIONS/REDO THE "CLAIM/EVIDENCE" SHEET: Most students did extremely poorly on the "Claim/Evidence" sheet. Please read the directions carefully and redo the work on a sheet of loose-leaf. The latest this assignment will be accepted will be the end of the day on Monday, December 9. Using the laptop computers, students will create a Dream Board. 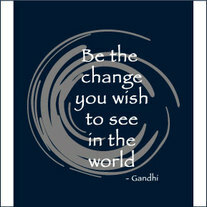 Gandhi has said, "Be the change you wish to see in the world." What do you need to do to make changes in your life? Students will make a collage with words and pictures that will help them realize their goals. The collage will help remind us of what we are working towards each day. Be sure to include one inspiring quote. Listen to Miley Cyrus's song "The Climb." Due Tuesday, December 3, 2013: Homework: Dream List. Answer the questions below and write your ideas in a list. How does Miley's song relate to the phrase? What would your life look like if you could dream it to be what ever you want it to be? Students will listen to Langston Hughes recite his poem "Dream Boogie." Found on the Hip Hop Speaks to Children CD, edited by Nikki Giovanni. Students will look up encouraging, inspirational quotes and arrange the quotes in an artistic way. These quotes will go in each student's locker. Students will listen to Langston Hughes recite "Dream Variations." This is found on the Hip Hop Speaks to Children CD, edited by Nikki Giovanni. Students will listen to "The Climb." How is Miley's song "The Climb" similar to Langston's poems? Students will make a list of all the words that help summarize the goals they are trying to achieve. Use these words to make a collage. Students will use rulers, pencils, crayons, and markers to create their word collage. These will go in each student's locker. Due Tuesday, December 17th, 2013: Worksheet, page 187, Lesson 20, Thinking it Through 2. Refer to page 184 and 186 if you have any questions. Grammar: Please see the engageNY website for more information about the Common Core Learning Standards and what is expected from our sixth grade students. 1. Students will demonstrate command of the conventions of standard English grammar and usage when writing or speaking. a.Ensure that pronouns are in the proper case (subjective, objective, possessive). What is a pronoun? Check out the YouTube video that describes them and gives some examples. Does anyone see a spelling mistake in the song? Check out Grammar Girl! The Grammar Girl website gives fantastic descriptions of subjective, objective, and possessive pronouns. See below. You can also listen to all three of the articles on her website. Look for the audio on the upper right hand side. In groups, come up with definitions of a noun, verb, and pronoun. Make a poster to teach the class the definition of a pronoun. Be sure to include examples of pronouns. Thanksgiving Extra Credit Opportunity, due December 2, 2013: If you wish, you may complete an extra credit project to help increase your grade during this second quarter. I will not accept this project after December 2nd. You may email me your final product. To give you ideas for the extra credit project, read over the lessons that we will complete over the first week in December (the week we return from Thanksgiving Break). Think about all that you wish to get out of your life. What do you dream your life to be like? What is your dream job? Create a PowerPoint, poster, essay, or creation on an iPad, iPod, or other device. Your project may be completed entirely electronically or may be completed by hand with pencils, pens, crayons, or markers on paper or posters. Your creation should contain several pages describing all that you wish to gain from life. It should also contain research as to what you want to do and be in your life. There are websites dedicated to certain careers. What do you need to study in college to enter your career? What courses will you need to take? What colleges offer that program? WATCH THE FOLLOWING VIDEO UP TO 6:15. BEGIN THE FOLLOWING VIDEO AT 4:25.